I think Meatless Monday is a very good idea for everyone, but particularly for families that typically wouldn’t consider embracing a vegetarian diet. There are so many tasty vegetarian recipes that everyone in the family, even kids, would thoroughly enjoy, and by merely serving one meatless meal a week, they will learn that meat is not necessary for a meal to be complete. Quinoa is actually a seed and not a grain, but it is a powerhouse of nutrition because it offers complete protein. Black beans are also an excellent source of protein and fiber. 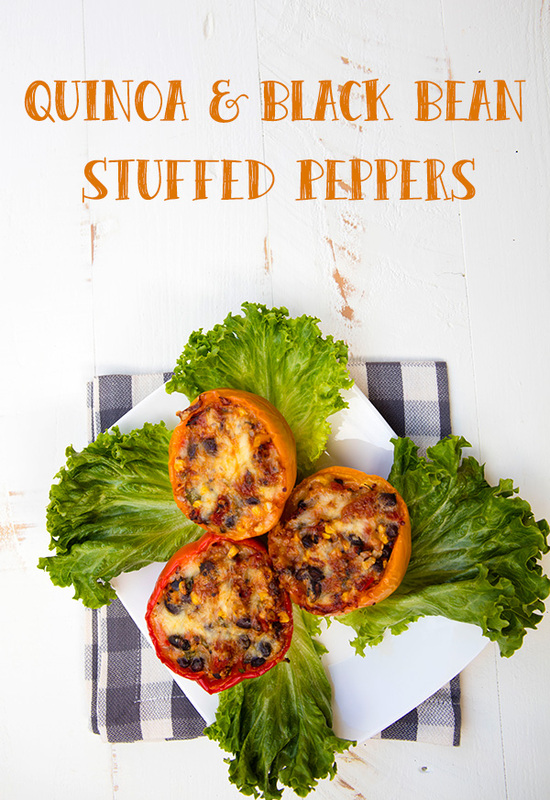 These peppers are easy to assemble, very satisfying, and full of flavor, making them a great choice for Meatless Monday. 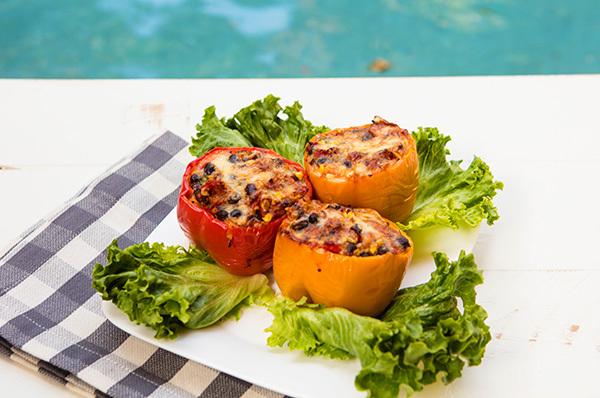 You can also play around with the ingredients used in the filling depending on your family’s preferences to ensure everyone in the family will love these peppers. To ensure these peppers are full of flavor, I like to use fire roasted tomatoes in this dish. 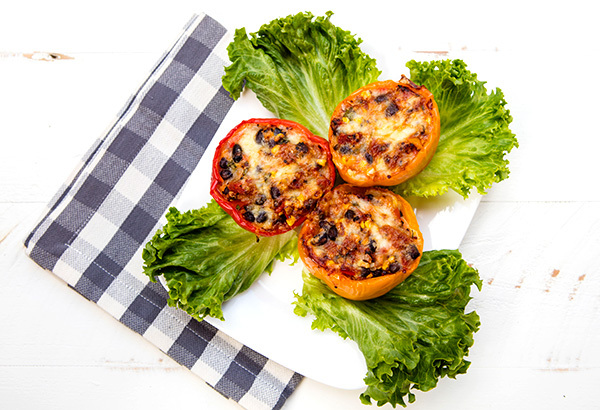 I like to top these stuffed peppers with some shredded Pepper Jack cheese to seal in the filling, and add a cheesy goodness that will appeal to kids. In a frying pan, heat the oil over medium heat until lightly smoking, then cook the onion, garlic, and diced pepper until tender, about 5 to 6 minutes. Add the corn, tomatoes, black beans, cilantro, cumin, salt, pepper, and quinoa, and cook over medium heat until bubbly. Place the peppers cut side up in a casserole dish large enough the hold the peppers. Spoon the filling into the peppers, rounding the top. 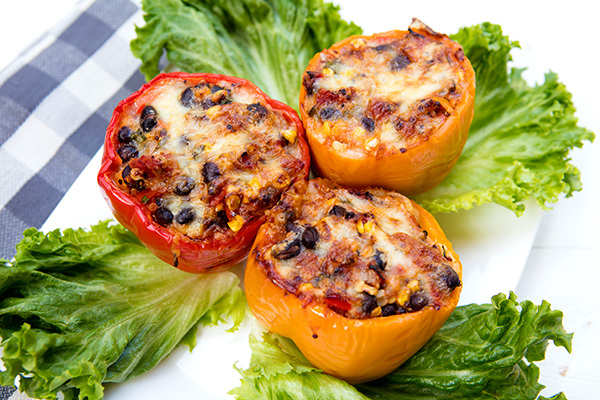 Sprinkle the peppers with the cheese, then bake for 35 to 40 minutes or until the peppers are fork tender.